Yellow is the perfect colour for any bouquet and occasion as it is symbolic of happiness which is where Edinburgh flowers step in with our vibrant yellow flowers range. 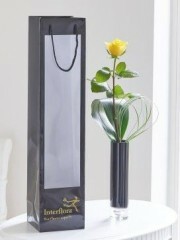 This range is suitable for any occasion as it is bound to bring a smile to your recipient’s face so no matter whether it’s a congratulatory bouquet for passing an important test or as a birthday gift or any other event in between, you can be rest assured that Edinburgh flowers have the perfect bouquet for you. All the flowers used for this collection - as well as all other collections - have been imported all the way from Holland. Holland is a western region of the Netherlands renowned for cultivating premium quality flowers which are considered to be some of the best in the world. This means that the quality we provide our customers at Edinburgh flowers are also of the best. Combined with up to four deliveries per week, not only are our flowers of the best quality but they are also the freshest. This means that the flowers have a high longevity so they will be able to bring happiness and brightness to your recipient’s life for many day to come yet. Since the Dutch cultivators provide the florists with such a huge variety of flowers such as yellow roses and carnations as well as other vibrant flowers like orchids and fragrant freesias, the Edinburgh florists are able to create innovating and unique floral designs. You are able to browse through the yellow flowers collection up on the Edinburgh flowers website where you will hopefully find something that is fully to your taste. Edinburgh flowers want nothing more other than to provide you, the customer, with the best possible service and floral designs which are nothing short of perfection. If you don’t find anything fully to your tastes up on the website, don’t worry as Edinburgh flowers offers all customers the bespoke service. This service allows you to either tweak elements of a pre-existing arrangement - for example, replacing one kind of flower with another - or you can work in collaboration with an Edinburgh florist and create a completely individual design. The bespoke service allows you to specify what flowers you would like in your bouquet or arrangement; what flowers should be avoided; colour preference; what sort of finish you would like and so on. Once the Edinburgh florists have all the information they need, they are always more than happy to create a floral design that reflects all of your ideas. There are several different floral designs available which are a bouquet, hand-tied and an arrangement. A bouquet is arranged with papers, tissues and then ribbons are used to bind the loose stems in place, so the bouquet keeps it’s formation. Hand-tied bouquets are slightly different as they also feature complementary papers and tissues but they come with a cellophane bubble of water to keep the flowers hydrated. This style is particularly convenient for those who are perhaps not knowledgeable in flowers or perhaps as get-well-soon bouquets as they don’t require to be watered like regular bouquets. A flower arrangement means that your flowers are placed in either a vase, box, basket or cupcake depending on what sort of aesthetic you’re after. No matter how big or small your request may be, Edinburgh flowers will always do their absolute best to fulfil all of your wishes.